A Porsche 911 is an iconic car. He is already more than 50 years in production, using the original concept, each generation has improved. 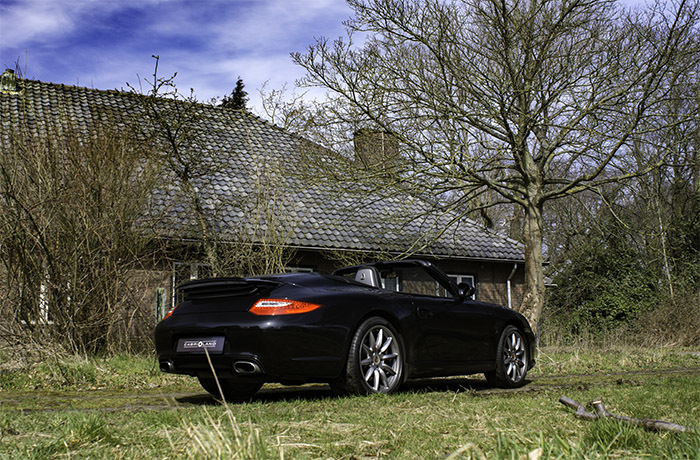 We should thanks to Cabrioland in The Hague in step with a 2009 911 Cabrio. We have sought this experience in 5 different points to summarize. If you drive with a Aston Martin or Audi R8 then turns everyone his head around and everyone wants to have a chat. In a 911, even in a convertible, this hardly happens. Now there are more 911’s around, so obviously, the less special one to see, but as much as there are now. 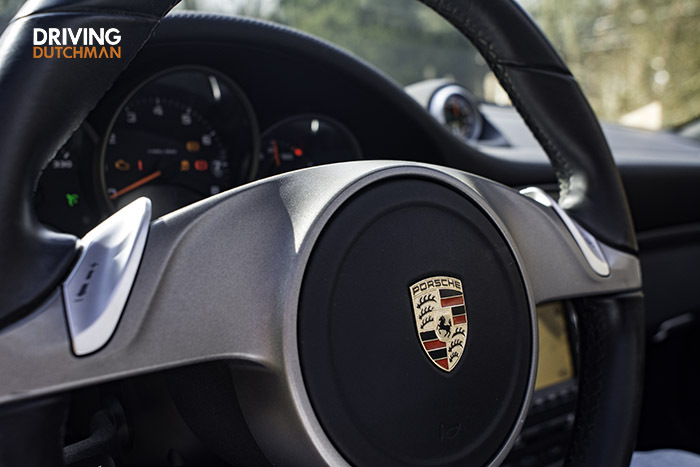 The Porsche has a modesty which is by no means a reflection of the potential of the car. Perhaps this is the result of his background. A car that is already 50 years non-stop at the top of the sports cars on the road and the circuit, no need to shout and scream that he is. 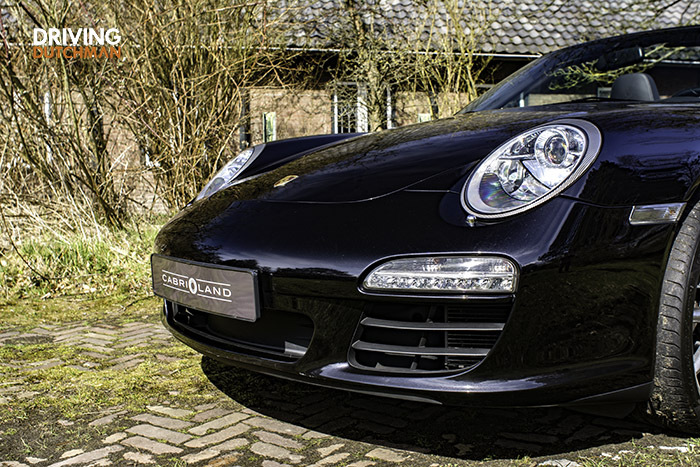 Everywhere, both from the outside as in a Porsche 911, you can feel the German quality and reliability. Every button, every lever feels well thought out and the operation works as if on its own. Our testauto had now something over 70,000 kilometers on there, but this was nothing to note. Everything felt like new. And the same applies for the way the car drove. 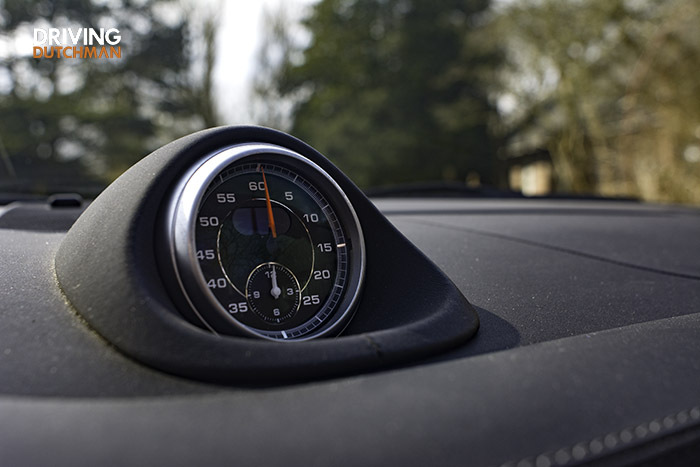 Nothing was to note that the 911 all what miles had been driven and that is certainly for a sports car, which it is heavier to endure than a standard family car, quite unique. A six-cylinder boxer engine has something delicious. That raw sound that comes from the 3.6 litre, no time to be bored. It may not be as uitsprekend as a V8 roar, but in terms of character a few engines here make up for it. We reason with the ‘ordinary’ 911 cabrio that 345 hp and 390 Nm provides, coupled to a PDK (Porsche Doppelkupplungsgetriebe) automatic transmission with double clutch. Although 345 hp today, not very impressive (0-100 in 5 seconds, top of 282 km/h), is the way the Porsche on the road brings. Certainly at the top of the revs it goes there like crazy off, where the sound only get better and better and that you are in this convertible even more can enjoy it through the open roof. Don’t forget, especially not to put the car in Sport Plus mode, in which he reacts quicker and nicer sounds. The PDK gearbox allows for lightning-fast delivers crisp shifting, then the motor just right drops in the rpm’s to hard to accelerate. Power is fun, but it must also be a bit on the road. And then you notice that Porsche for a very long time working on the same concept. It really is incredible how tight a 911 on the road, even the convertibles. Acceleration, fast cornering, bochtenwisselingen, he utters not a word. Helped by the engine which leans on the huge rear wheels, the traction is enormous and already in the first turns you understand why Porsche had so many years of dominating on tracks all over the world. This is simply top! 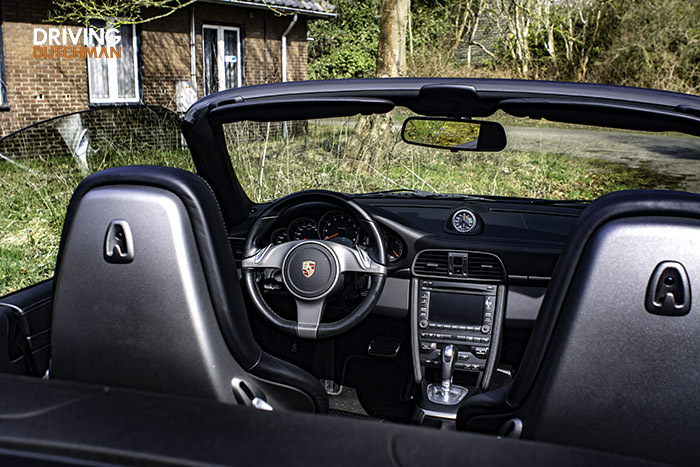 If you have the above issues combine, the modesty, the quality, the wonderful engine and even better handling, then you have to this Porsche 911 cabrio more than a good sports car, that you can use as daily transport. You drive in a reliable, fast and good sports car with an open roof, which is understated enough to not crooked glances. And because this second-hand, it is also reasonable to pay. Because with 62.950,- euro, there is less than half of the original purchase price of more than 140,000 euros.